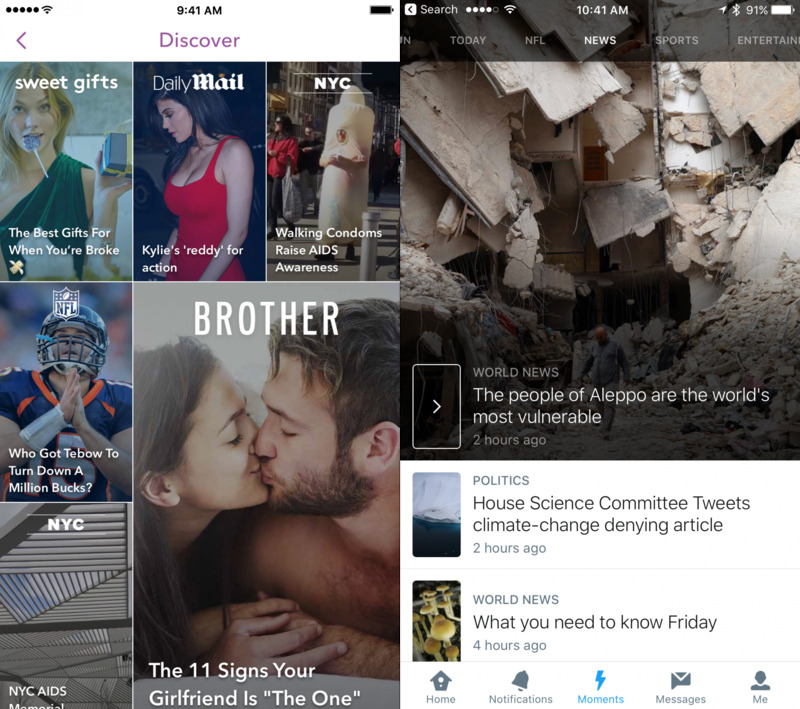 The feature is called Collections and functions similarly to Snapchat's Discover section. The feature is called Collections and functions similarly to Snapchat's Discover section, which showcases news stories, listicles, videos and other content submitted by handpicked media partners. Facebook's effort to create Collections comes as it struggles to distinguish between high-quality content from established media outlets and the glut of low-quality, fake news stories that go viral across the social network. The company has faced sharp criticism for its role in spreading fake news stories during the U.S. presidential election. The move could also help Facebook forge stronger ties with publishers as it competes with fast-growing Snapchat. The app's Discover section of youthful, tabloid-esque news stories is seen every day by its more than 150 million users. Early Collections partners have been told that content they create will be inserted into the News Feed by Facebook, effectively giving them direct -- and potentially much broader -- access to the social network's vast audience of 1.8 billion users. Currently, publishers must either garner likes from users for their content to be seen in the News Feed or pay to boost their exposure through Facebook's sponsored-post program. It's unclear if Collections will feature advertising, and if so, whether Facebook will share the ad revenue with publishers or offer publishers an option to monetize the content themselves, as it currently does with its Instant Articles service. Another sticking point could be the extent to which Facebook shares data about readers with publishers, and how easy it will be for publishers to bring readers to their websites. Facebook has historically had difficulty getting directly involved with news curation. The company's latest experiment with curated content from publishers was a breaking news app called Notify that the company shuttered earlier this year after only seven months. The social network's Trending news section came under fire earlier this year after it was reported that Facebook's editors were purposely suppressing conservative-leaning news items from appearing on the list.